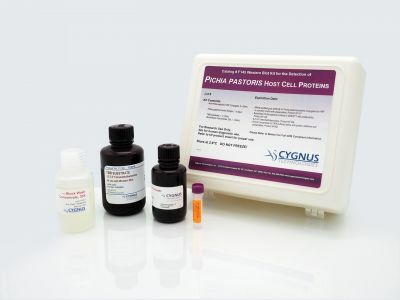 This kit is for determining the presence of host cell protein impurities in products manufactured by recombinant expression in Pichia pastoris. This kit has an LOD of <0.3 ng/ml. Can the ELISA Protocol in the Product Insert be Modified? 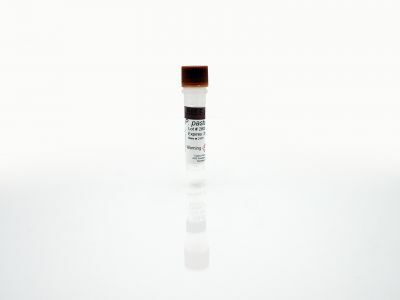 The assay protocol recommended in the kits' product insert have been developed with consideration given to typical limits of detection required in bioprocess impurity analysis. 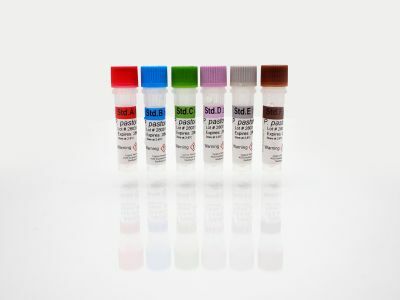 The assays are very robust with respect to protocol options and thus it is possible to modify the protocol to achieve performance parameters more optimal for your analytical needs. Sample volume, incubation times, and use of various sequential (forward or reverse sequential) schemes can lead to significant changes in sensitivity, reduction of non-specific sample matrix affects, or greater upper analytical range. If you change the protocol, it will be necessary to qualify that those changes achieve acceptable accuracy, specificity, and precision. Please refer to the section below on "How to Qualify HCP & Impurity Assays." For advice on how best to modify an assay to meet your objectives you are encouraged to contact our Technical Services Department. The absolute quantitation of HCP assays is exceedingly difficult for several reasons. First of all, there is no recognized reference preparation of HCP against which we can calibrate our assays. While ELISA is inherently a quantitative method when applied to a single analyte, ELISAs that attempt to measure simultaneously all of the hundreds of potential HCP impurities in the same well using a single reporter/detector system are at best semi-quantitative assays. Many arbitrary choices and assumptions are used when preparing anti-HCP antibodies and later the choice of material to use when preparing “standards”. How to obtain the HCP material for immunogen is the first choice that must be made. Do we use a null cell line or a mock transfected cell line or one with the actual product plasmid and what differences in HCP might we see from each? At what point in the purification process do we obtain the HCPs for the immunogen or standards? In almost every case the array and relative concentrations of HCPs in final product are different from the HCP in the ELISA standards. How does one assign a total HCP concentration to an indeterminant mixture of many proteins with different molecular weights? What effect will the different affinities of antibodies to various HCPs as well as the different concentrations of those antibodies have on the ability of the assay to be quantitative? How do we know that we have antibody to all the HCPs present in a given sample type? All of these questions and arbitrary choices mean HCP assays will at best be semi-quantitative methods capable of making only relative estimates of HCP concentrations from one sample to the next. We estimate the potential error in reporting an HCP level in a sample that has a different array of HCPs from the standards to be as high as 4-fold even if you have a very good broadly reactive antibody. The commonly expressed theoretical concern is that HCP assays might under-estimate results due to incomplete coverage of all HCPs. In reality, the quantitative errors in HCP assays due to the arbitrary choices and fundamental limitations of the method as discussed above can result in either over-estimation or under-estimation and tend to do so to about the same degree. In our experience, a well generated and affinity purified antibody will react to more than 70% of individual HCPs as demonstrated by traditional 2D Western blot correlated to silver stain. What is more important than the number of individual proteins with antibody reactivity, is the total mass of those proteins that are detected. In our experience and as you might expect from theoretical considerations, the proteins in highest concentration have the best chance of generating an antibody. As such, an antibody with about 70% reactivity to an individual HCP will react with those proteins that account for more than 95% of the total mass of HCP. Given this level of uncertainty in the absolute HCP concentration, the most important criteria by which we can judge any HCP assay is on other objective parameters by which any analytical method should be qualified or validated. Those criteria include specificity and accuracy as demonstrated by sample dilution linearity and spike recovery experiments, precision, robustness, and sensitivity. Provided the assay has sensitivity to detect at least a relative portion of the HCP in your final drug substance and the assay also meets the other objective analytical parameter specifications, such an assay is a valuable analytical method capable of demonstrating process control and reporting relative levels of HCP contamination from lot to lot as a release test. Due to the impracticality of obtaining real final product HCPs that co-purify with product down to the final step, most of our HCP assays will utilize a source of HCPs from very upstream in the purification process. Those HCPs typically do not come from the actual product cell line but rather a null cell or mock transfected cell line. Once we have decided on the source material for the kit standards we first perform some partial purifications to remove non-HCP materials such as growth media additives, buffer salts and extraction reagents. Our initial approach to calibrate this processed material is to simply perform a BCA total protein assay using bovine serum albumin (BSA) as an arbitrary standard. When standards made with the HCP material calibrated by BCA give reasonable “stoichiometric agreement” with the amounts of antibody used in the ELISA then we feel the calibration by BCA is good enough. What is meant by “stoichiometric agreement” is that we know how much antibody is used in the ELISA. It is the quantity of antibody that actually dictates the analytical range and dose response curve of the ELISA. If we assume an average molecular weight for the total HCPs, then we can reasonably estimate HCP concentrations across the valid analytical range of the assay. When the BCA assay concentrations do not reasonably approximate the ELISA stoichiometry, we process the HCP material further. Such processing involves various purification steps to remove components registering in the BCA assay but that are in fact not HCP or at least not immunoreactive HCPs. This processing might also involve affinity purification against the anti-HCP antibody. The purification stops as soon as the BCA concentration gives a realistic stoichiometric agreement in the ELISA. How do I Maintain Quality Control of ELISA? The routine run-to-run quality control of ELISA is best accomplished by assaying control samples across the important analytical range of the assay. We recommend 3 controls, a low control in the range of about 2 to 4 times the assay Limit of Quantitation (LOQ), a medium control, and a high control. Ideally, these controls should be made using your source of analyte (e.g. HCPs from your process). Furthermore, the controls should be in the same matrix as your critical samples or after dilution to MRD for your final drug substance. By using your source of analyte in your sample matrices, you will be best able to identify any problems within the run or between runs and kit lots. We manufacture our kits for lot-to-lot consistency and restrict and evaluate changes in any components or procedures that could impact accuracy in the customers' laboratory. However, as generic kits, Cygnus performs QC on a limited range of parameters that may or may not be sensitive to your product specific issues. If you cannot make controls in house, please contact Customer Service as Cygnus may have “tri-level” controls for your kit that can be purchased separately. Use of laboratory-specific controls is the only way to assure total quality control of the assay for your needs. Controls should be made in bulk, aliquoted for single use, and frozen at -80°C until stability studies indicate some other storage conditions are adequate. Once you have statistically established a range for these samples, they will become your most sensitive and specific tool to assure quality control of the assay. Do not rely on curve fit parameters as quality control specifications in the absence of true analyte controls. Curve fit parameters such as R square, slope, y-intercept, and upper and lower asymptotes are not sensitive or specific enough to reliably detect assay problems. Use of such parameters in the absence of true analyte controls, will frequently yield erroneous results. Contact our Technical Services Department for advice on how to make and establish controls specific to your needs. Numbers of Replicates - When precision is very good (average replicate %CV on ODs are less than 5%) we feel duplicate analysis is adequate and the most effective approach. In the case of duplicate analysis, we do not allow for editing of any apparent outliers since there is no statistical basis for establishing which of the duplicates is inappropriate. Thus, in duplicate analysis we suggest repeating any sample that yields a %CV greater than 20%. What About Automation of Immunoassays? Many of our customers have expressed an interest in automating our ELISAs to improve throughput and assay performance. Cygnus Technologies has much experience with various automation platforms. These systems include automated microtiter plate instruments and other liquid handling systems as well as several “biosensor” platforms. Using our proven and well-qualified antibodies and reagents in a biosensor platform still presents your lab with significant challenges in re-qualifying and optimizing the reagents. Before considering adapting our reagents to an automated system, you are encouraged to contact our Technical Service Department for guidance on how to approach assay development, qualification, and validation. The promises of automation are higher throughput, faster turnaround of results, and improved performance in terms of parameters like sensitivity and precision. The practical ability of the many systems now being marketed to meet these promises is variable. Before embarking on a quest for automation, we urge you to contact our Technical Services Department. After evaluating your testing needs we can guide you to the system that best meets your requirements. What is the Storage and Stability of ELISA Kits? 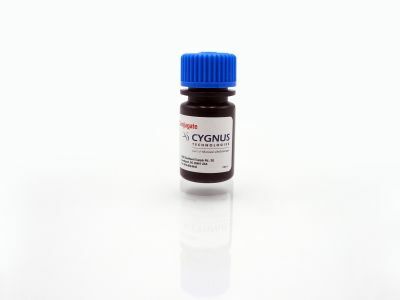 Cygnus kits and reagents have been formulated to withstand shipment and/or temporary storage under ambient temperature conditions without any significant deterioration. Orders within North America are shipped next day delivery service without cold packs. International orders are shipped with cold packs as a precaution only. Although stability studies have demonstrated that Cygnus kits can be held several weeks at ambient temperatures without any significant deterioration, we recommend storage at 2-8°C upon receipt of the products. Our components have been challenged at elevated temperature excursions, addressing concerns over extreme summertime temperatures, delays in shipping, custom clearances and/or refrigeration problems at the customer locations. Should you have concerns regarding the performance of kits that have been subject to temperature deviations, we recommend an analysis of your control samples and historical specifications that determine the integrity of the kit. If the curve absorbances, sensitivity, and controls are within range, then the kit is acceptable for use. What Issues to Consider When Diluting Samples? Some samples, particularly those from upstream in your purification process will have impurity analyte concentrations above the analytical range of our very sensitive ELISA kits. Such samples may require very large dilutions in order to overcome “Hook Effect” and to achieve acceptable “sample dilution linearity”. In addition to the “Hook Effect,” the matrix of some samples may interfere non-specifically with the assay and also result in under recovery of the true analyte levels. Simple dilution of those samples is often adequate to buffer out such interference provided the dilution does not reduce analyte concentrations below the Limit of Quantitation (LOQ) of the assay. In cases where dilution of your samples is not an option contact our Technical Service Department for advice on how best to overcome sample matrix interference. 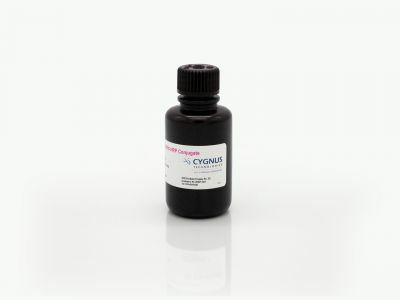 Cygnus offers assay specific diluents for each of its kits. The catalog numbers for these diluents can be found in the kit product insert or by contacting Customer Service. We strongly recommend use of those diluents because they are the same formulation as the matrix used for the kit standards. Thus, as you dilute your samples in our diluent, your sample matrix begins to approach that of the standards and in this way greatly minimizes any dilution artifacts that could occur if you were to use another diluent. First, you must assay the diluent alone to determine that it does not yield absorbance values significantly above or below the absorbance for the kit zero standard. OD values above the zero standard indicate that the diluent may have low levels of the analyte or that the diluent causes an increase non-specific binding, relative to the kit standards matrix. OD values less than the kit standard may indicate that the proposed diluent is lowering non-specific binding and may also be inhibiting specific binding. In any event use of a diluent that does not match the standards risks significant errors when the sample concentration gets multiplied by the dilution factor. Second, you must perform a spike & recovery experiment into your proposed diluent at several levels across the analytical range of the assay. For a diluent to be deemed acceptable we suggest a recovery specification of 95% to 105%. In general, the formulation of diluents should be a neutral pH with some carrier protein added to block non-specific adsorptive losses of the analyte. Use of just PBS or TBS without a carrier protein can be problematic because the analyte diluted in the range of the assay (ng/mL) can very significantly adsorb to the dilution tube resulting in low recovery! Your diluents should not have sodium azide as a preservative nor significant detergent concentrations as these will reduce assay accuracy. Why Perform Dual Wavelength Analysis? The protocols in our ELISA kits recommend the use of dual wavelength analysis for microtiter plates readers appropriately equipped. For alkaline phosphatase – PNPP based assays the two wavelengths are 405 nm and 492 nm. For horse radish peroxidase – TMB based assays the wavelengths are 450 nm and 630 nm. In both assay types the first wavelength listed, also termed the "test wavelength", is critical and thus your microtiter plate reader should be equipped with the appropriate 405 nm and 450 nm filters. It is not absolutely necessary to use dual wavelength analysis with any of our assays and thus the second wavelength (492 nm and 630 nm - also called the "reference wavelengths") are optional. In theory, the use of dual wavelength analysis should provide better precision. Microtiter plate readers with the appropriate software will automatically subtract the reference wavelength absorbance from the test wavelength absorbance. In theory dual wavelength analysis can help to overcome any non-wavelength specific imperfections in the plate. In practice, because the optical quality of our microtiter plates is excellent, there is usually no significant statistical improvement in the data by subtracting out the reference absorbance from the test absorbance. Most plate readers are equipped to perform dual wavelength analysis. Since the reference wavelength is not critical, microtiter plate readers with reference filters close to those we recommend can be substituted. For example, you may use a 490 nm or a 500 nm filter in place of the 492 nm or a 600 nm or 650 nm filter in place of the 630 nm filter.